The Perfect Snowday outfit with G.H. Bass & Co.
Last year around this time it was still in the 60’s heres in good ole New Jersey, but this year it seems to be much colder. We’re actually looking at snow this Saturday, and the boys and I are crazy excited about that. So, I decided it was time to gear up with some snow essentials, including these darling shearling duck boots from G.H. Bass & Co. . You guys, they are so insanely comfortable. I could wear these bad boys all day long. They are lined with shearling, which makes them not only comfy but also keep my feet nice and toasty. I paired them with a cozy high low ribbed knitted turtleneck sweater, and this perfect hooded puffer vest from Goodnight Macaroon. 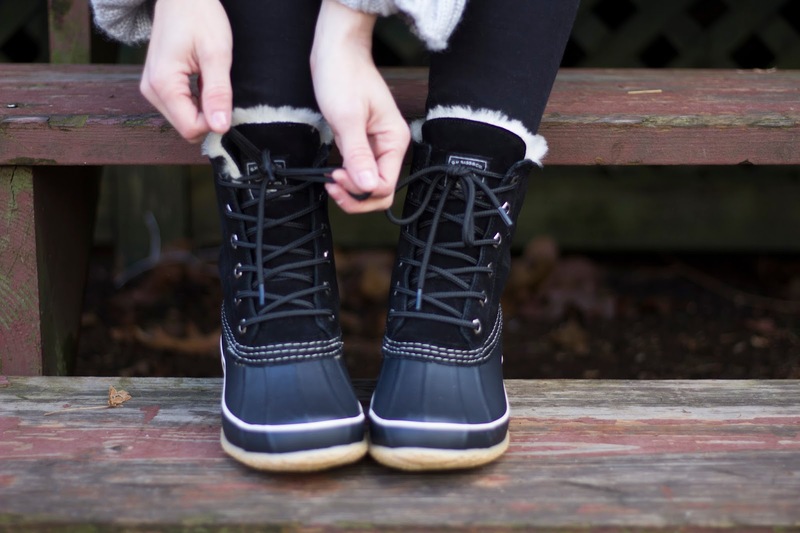 What are YOUR must have snow essentials? Leave me a comment below, id love to hear!